ACS Roofing specializes in commercial roof repairs throughout the Nashville and Johnson City areas. 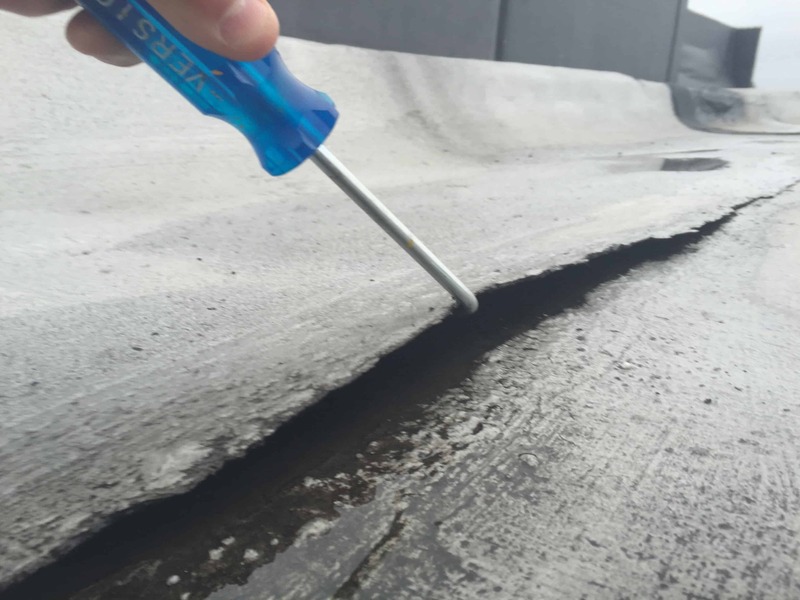 Get the most out of your commercial roof by making excellent roof repairs. Roof repairs save money and increase the lifespan of the roof. 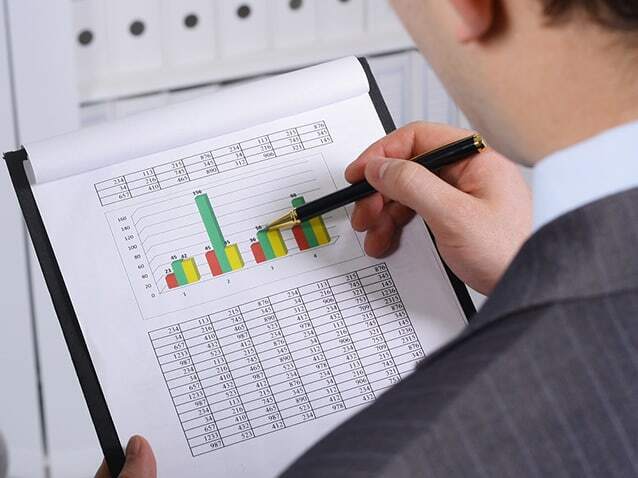 A longer lifespan saves you and your business money. 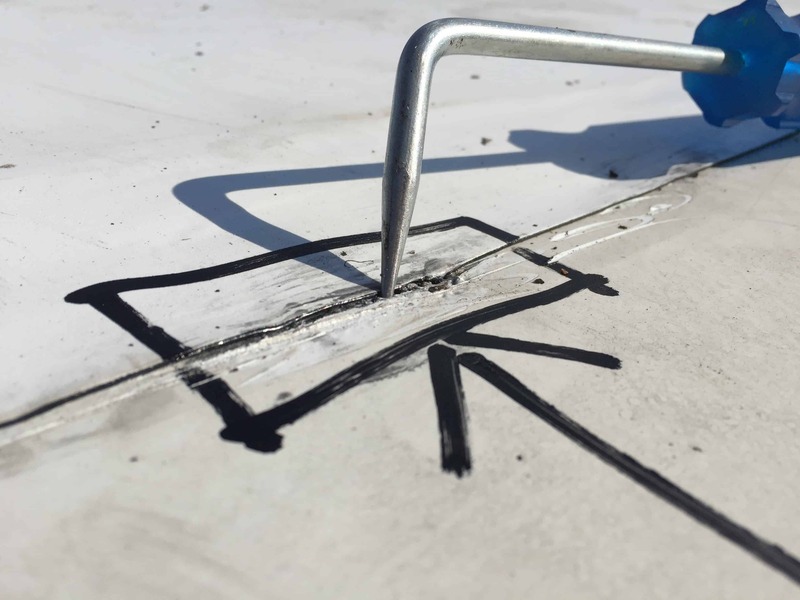 Not every roof needs to be immediately replaced, and our technicians are trained to find the toughest roof leaks. We analyze where your leaks are coming from and perform roof repairs that stop roof leaks. Do not replace your roof prematurely. Let ACS Roofing stop your leaks and save you money. Our clients rave about our fast response times. You can’t afford to have a cash register shut down, a desk that is getting water on it or a safety hazard on your floor. We are ready to help you get your leak resolved fast so you can get back to business. ACS keeps the most money in your pocket during the lifecycle of your property and roof system. Repair it today. Budget for tomorrow. Just because your roof is thirty years old doesn’t mean your roofing company should act like it’s still 1980. Our clients enjoy fast service, excellent communication and technological advantages that no other roofing company can offer. Stop waiting for weeks for a Roof Repair Tech to show up. 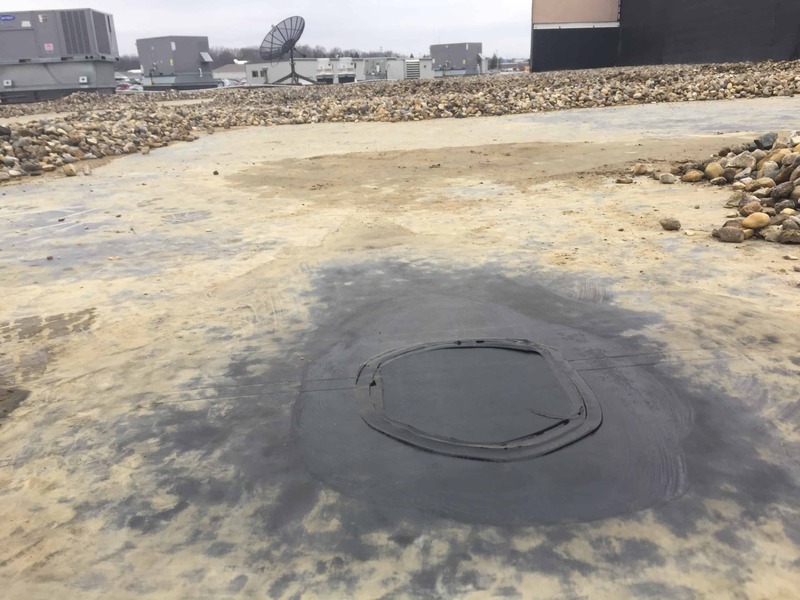 ACS Commercial Roofing has the same sense of urgency that you do to make your roof leak free. A roof leak impedes your ability to conduct business, and we exist to help your business be the best it can be. We even send you an email letting you know when someone is en route to your location. Still wondering what the last company who came out actually did? 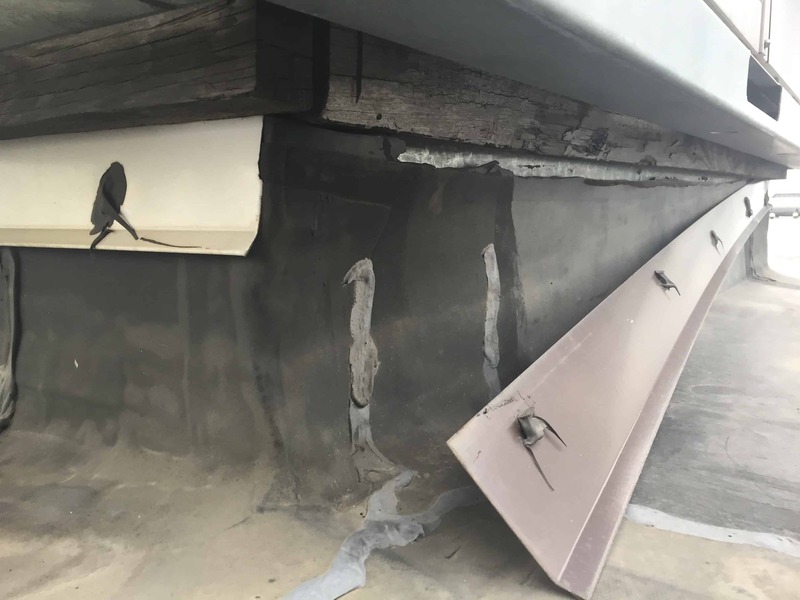 You will enjoy an invoice that shows you exactly what roof repairs were made, where they were made and how they will stop the leak. We make it easy for Property Managers to get approval for paying invoices and give Property Owners peace-of-mind. Get set up with Roof Matrix for no additional costs! 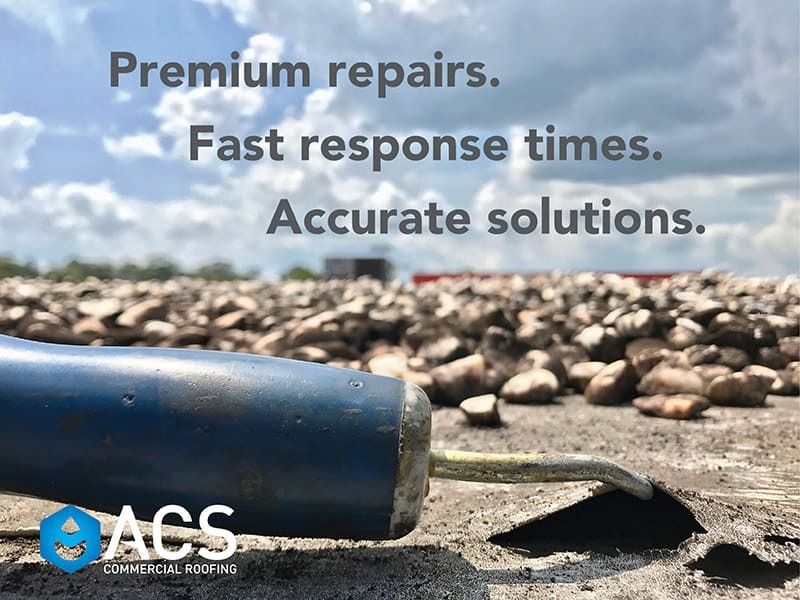 Roof Matrix is exclusive to ACS Roofing and gives you the ability to login to see your past invoices, videos of problems, roof replacement budgets, etc… learn more here. Stop your roof leak as quickly as possible for the least amount of money. A Time & Material (T&M) repair is the most standard way we perform repairs for our clients. We dispatch a highly trained ACS Roof Repair Tech to your property and they will perform a repair. As soon as they are done we will be able to send you an invoice for time and material. Have a Not-To-Exceed Limit? No problem. Our dispatching software lets the Repair Tech know. You will receive a call before they make the roof repair if it will exceed your NTE. Want the option to fix it immediately and also receive a proposal? No problem! Our Price-Is-Right Proposal means a tech will be dispatched to your property with all the tools to fix your leak. Once the problem is located we will call you and let you know what the price is before doing any repairs. Once you give us approval we will complete the repair for that amount. 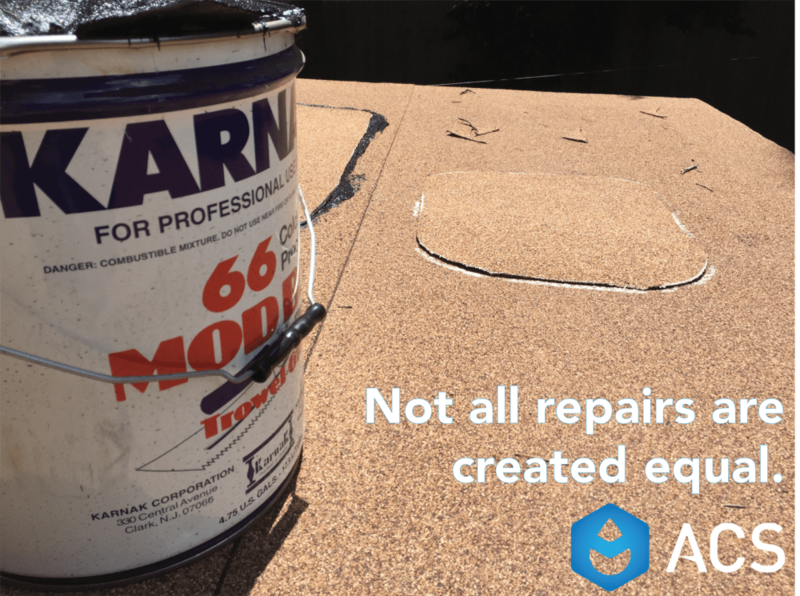 Don’t care for the solution or the price to repair your roof? No problem. All we ask is that you pay a $99 trip charge for the diagnosis. Boss requiring three bids? Are you the boss and want three bids? We get it. We will send a Solution Consultant out to your property to do a thorough examination of your problem and provide you with a great solution. Depending on the severity of the issues, we will either give you pricing on site or email you the final figure as soon as possible. This is helpful option for business and managers in large repair situations.